Panchase trek is one of the easy and relaxing trekking in Nepal. Panchase is placed in the south west region of Pokhara having bordered by Kaski in the east, Parbat in the west and Syangja in the south. Panchase is considered as one of the religiously holy place by Hindu. In fact, Panchase is the highest hill in this region. It is well known for the occurrence of various rare vegetation that has medicinal importance. From the pinnacle of Panchase we can view the breathtaking panorama of Himalayas, green valleys and terraced fields. Though there are different trials that can lead to Panchase each of them are similar in terms of comfort and scenic beauty. First we surpass through Fewa Lake and walk up to World Peace Stupa. From this stupa, we can view the amazingly beautiful Pokhara which embraces Fewa Lake, Kaski Kot and other well known places in Pokhara. From here we can also view the extravagant view of Mt. Machhapuchhare and Mt. Annapurna. 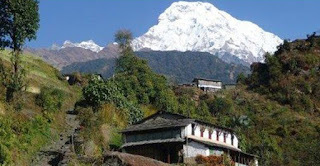 Panchase trek you will cross various landscapes from the array of lowland villages to hilly terraced fields ultimately leading to the height of 3,000m where we find finely placed Gurung villages and Rhododendron forest which is best viewed during spring. Adventure Nepal Girl (Pvt.) Ltd is a Nepalese trekking company. It is Based in Beautiful tourism place Pokhara, we design treks & expeditions in the Himalayas with the motto not only to reach but to explore. We have a team of experienced leaders, cooks and sherpa guides dedicated to providing you with an extraordinary and unforgettable experience of our wonderful Himalayan kingdom of Nepal. Our teams are renowned for providing considerate and friendly service to their clients, whether walking along the Himalayan foothills, trekking through the middle valleys or scaling dizzy heights of major peaks. We take care of all who trek with us. Adventure Nepal Girl (Pvt.) Ltd provides sensible, high quality equipment on all treks. We organize the logistics of the whole trip including air or land transportation, hotel reservations, airport transfers, sightseeing, permits and national park fees. Our assistance is offered with arranging additional excursions before or after your trek, such as wildlife safaris, rafting, and scenic flights. We welcome your enquiries at any time. Should the route, peak or destination you have in mind not be covered in our listed trips, please contact us. We enjoy designing custom itineraries for those with special interests and requirements.